where you will find all the help you need to create your own organic garden, build an aquaponics system or even make your own greenhouse! Organic Gardening is a passion of mine for a whole bunch of reasons. I think it all started with my grandfather. He was a Nebraska farmer for most of the first half of the 20th century, and I can remember as a kid going out and riding on his old John Deere tractor with him when he would go out to the fields, or helping out in their own garden.. There was something magical about being on that farm that I really loved.. ok.. maybe not the pigs so much.. but the fields of corn and the vegetable garden and the chickens I dearly loved. In those days farming was all Organic.. there were no pesticides and no herbicides, and NO Genetically Modified anything. Fast forward to my 30th year and a small home in suburban Maryland.. when I decided to grow an organic garden. I had never gardened before and had no idea what I was doing, but I learned fast. One of the first things that I learned quickly was that I HAD to build a raised bed because my first year of trying to garden in the Maryland clay was a total disaster. So I built my first raised bed garden the next year, and it was absolutely delightful to go out back in the summer and pick fresh vegetables right from the plants. If you’ve never had a tomato picked fresh from the plant at it’s peak ripeness you’re missing amazing flavor anda great part of living, not to mention the best healthy food you can get! Check out the pictures of it here. This website was born out of my passion for organic gardening and to help spread the word. Organic foods are an absolute must for healthy living.. they have more nutrients than pesticide grown vegetables, they have a longer shelf life, they are obviously far more environmentally friendly, and most importantly you aren’t eating pesticides when you eat organic. Your body gets more nutrition from organic foods and it doesn’t have to work to try and heal from the poison you eat when you eat agribusiness food. With those you can’t NOT eat poison because nowadays they use systemic poison that’s INSIDE the plant and it can’t be washed off! So please enjoy the site.. 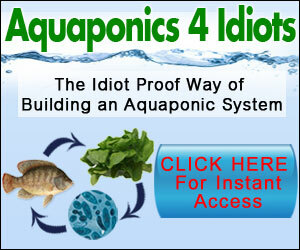 I also offer some products that will help you to become an organic gardener, how to create an aquaponic organic garden, and how to build your own greenhouse. And if I can be of any help to you please get in touch!